If you want to use an FTP client to upload your web files to the server, you will need to use the correct login credentials, which includes your FTP hostname, username and password. You can find these information in your Doteasy Member Zone. You can then use the FTP information to set up your FTP client. 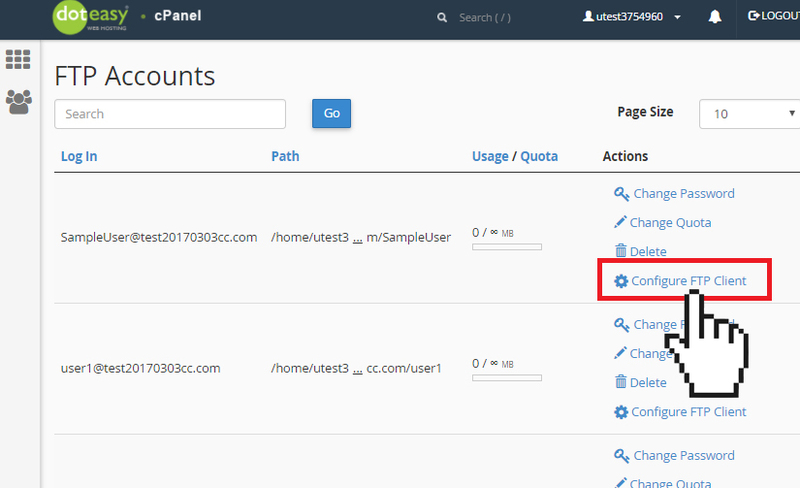 If you are using FileZilla, CoreFTP or Cyberduck, then you can use the Configure FTP Client tool in cPanel to auto-configure your FTP client. 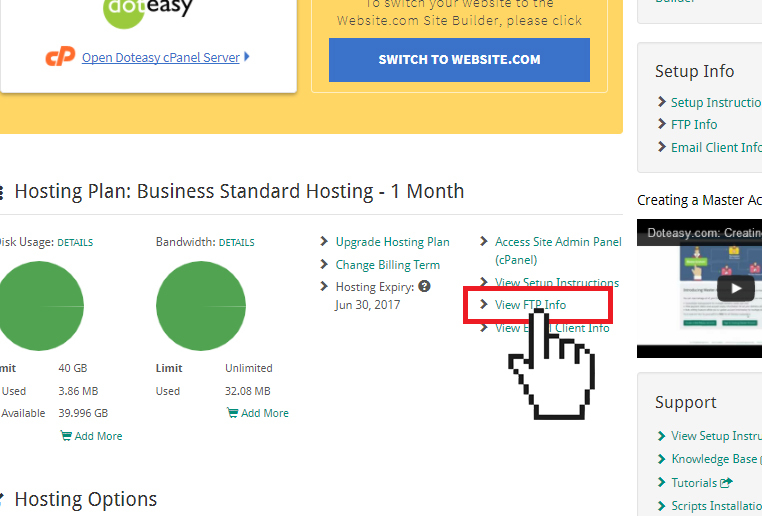 NOTE: Before you proceed, make sure you already have FileZilla, CoreFTP or Cyberduck installed on your computer. 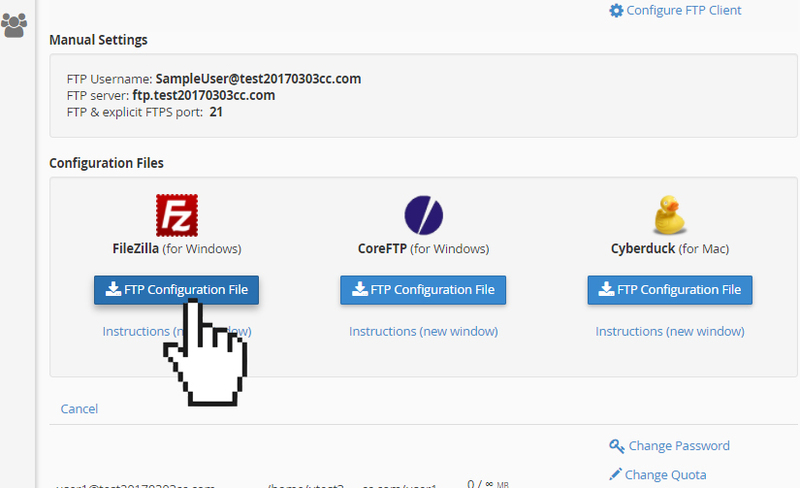 Under FTP Accounts, click Configure FTP Client for the FTP account you want to set up on your FTP client. Click FTP Configuration File under the desired FTP client. The configuration file will be downloaded to your local computer. Open the configuration file that was downloaded to your computer. It will open your FTP client and begin the auto-configuration process. 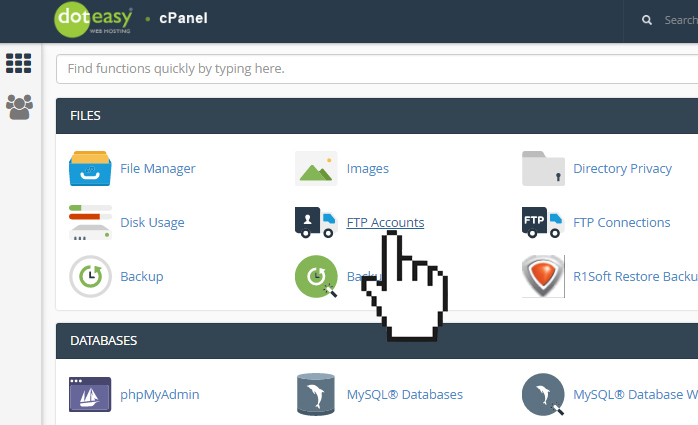 cPanel currently only supports these three FTP clients for auto-configuration. If you are using another FTP client, you will need to manually configure the FTP client. You can find instructions on how to configure the most common FTP clients at our Getting Started library.